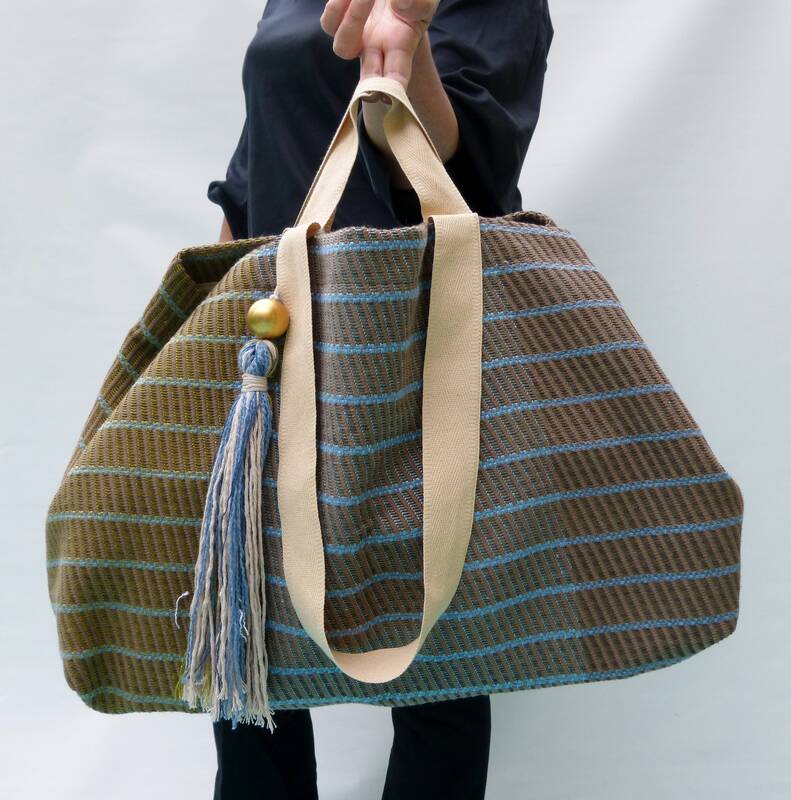 Handmade artisan handbags Italian Style . 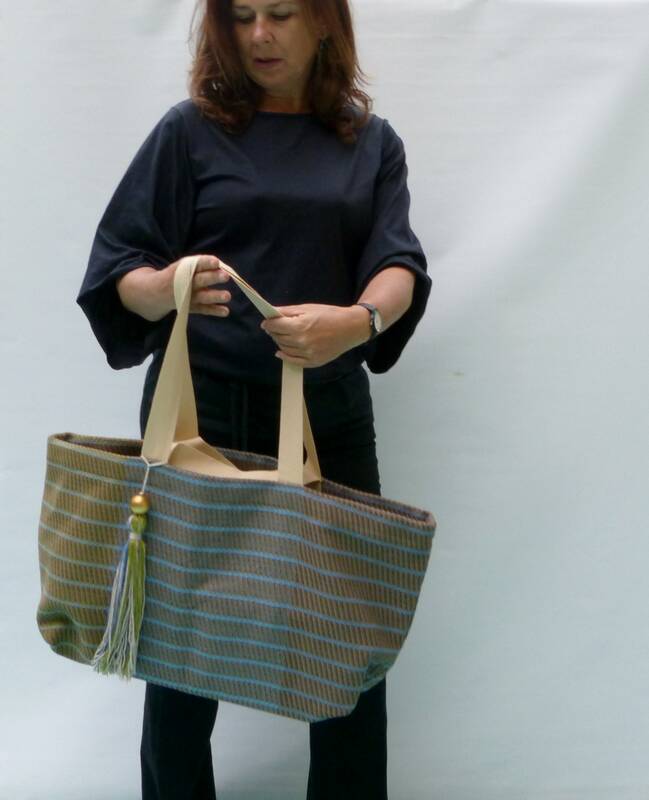 This super chic slouchy shoulder bag tote made in soft striped weaving upholstery fabric made for equally cute far an everyday use with its two sets of top handles. It will carry all. Made in Italy top quality textile. 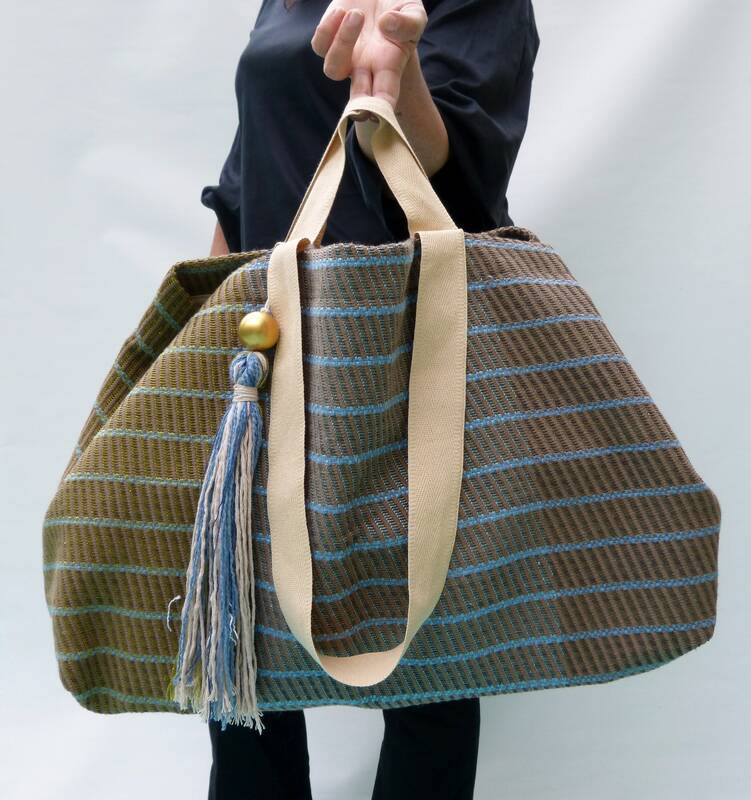 Featuring famous blue bag reinvented for my "jUst oNe collection" this classic shaped squared and slouchy upholstery bag is simple, yet stylish with its maxi removable tassel. 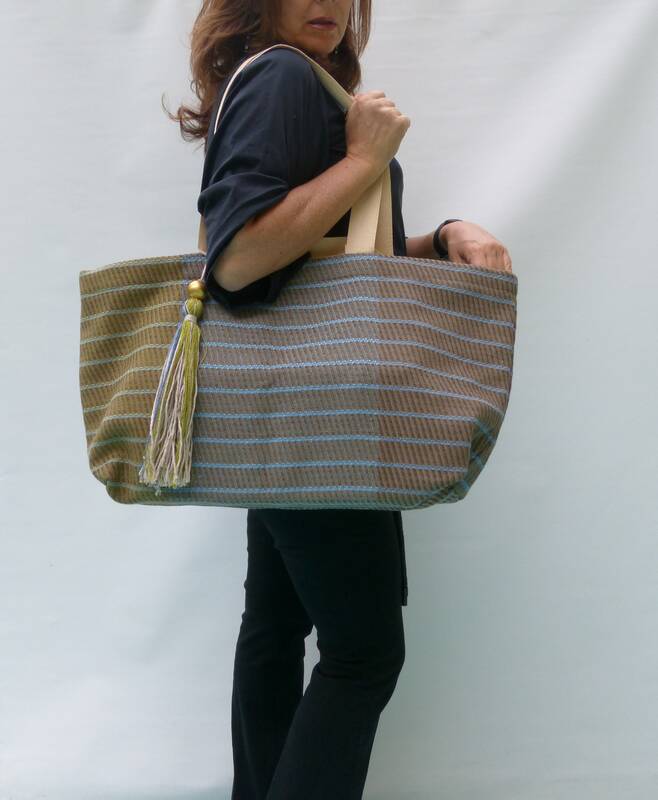 Made of soft top italian quality thick woven cotton/linen/viscosa upholstery fabric stiped pattern in 3 different colors. 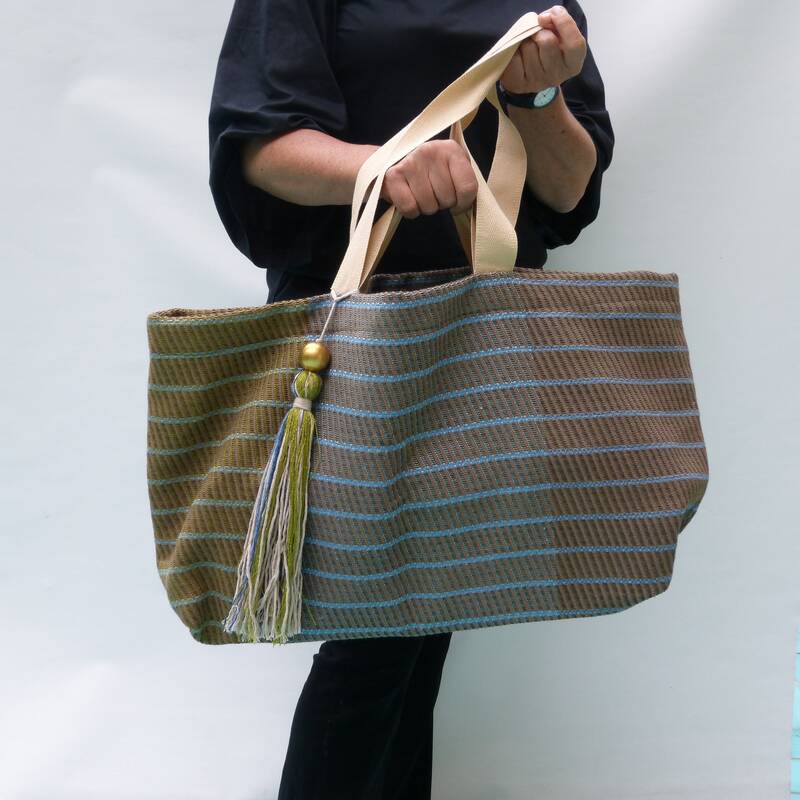 Two different size of the shoulder strap in pure soft weaving cotton. 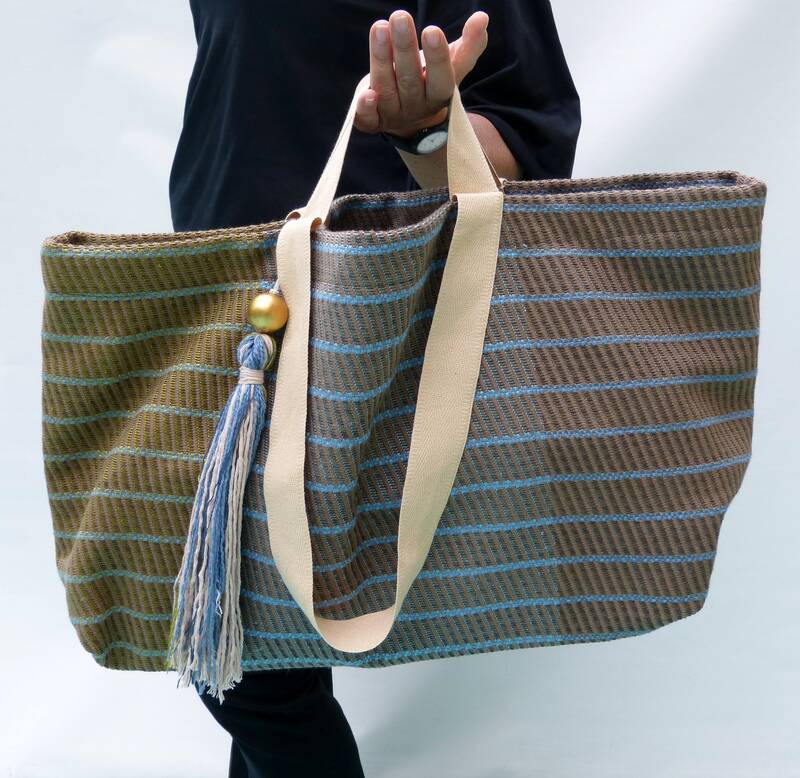 borsa stupenda ancora più' bella dal vivo.